Summer is the best time to keep our skin and face moisturized and stay hydrated. The rays of the sun is very dangerous. It hurts our skin so bad. 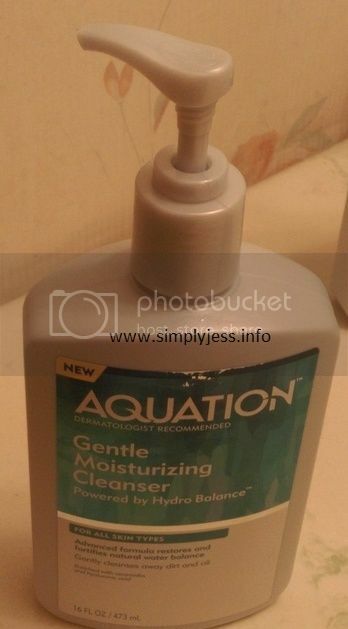 We need products like Aquation. It is the perfect skin products to keep your skin and face smooth. Having a very sensitive skin is not easy. I am so picky with what products to apply on my body. I am so thankful that when I tried the DAILY MOISTURIZING LOTION, GENTLE MOISTURIZING CLEANSER and MOISTURIZING CREAM. These three products are all powered by hydro balance. I LOVED the lotion. Even my daughter tried it on her skin. She also loved the lotion as well. These products do not have odor which I really LOVE as I am allergic to fragrance. The lotion is not creamy. You can apply as much as you want. It really up to you. I LOVED that it instantly hydrates your skin. The cleanser is easy to use as well. All you have to wash your face with lukewarm water. Gently massage cleanser into skin(face and neck I used it). You can rinse and pat dry with a towel. The cleanser washes away dirt, oil and make-up. It gently cleanses without stripping. It does not irritate my sensitive skin. It hydrates and softens. The moisturizing cream is perfect after using the cleanser. It instantly relieves dryness. It softens your skin. It soothes dry skin itch and imitation. It is also easy to use. You can apply as much amount you want on your face and skin. 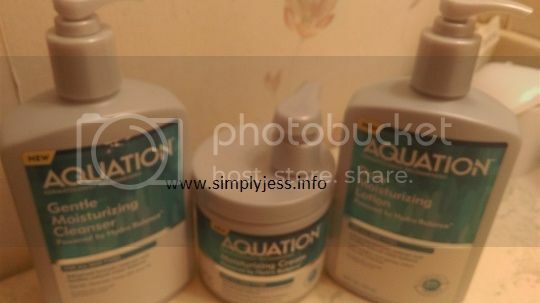 Overall, I am pleased with Aquation products. I highly recommend this to everybody. These products are perfect for any skin types. 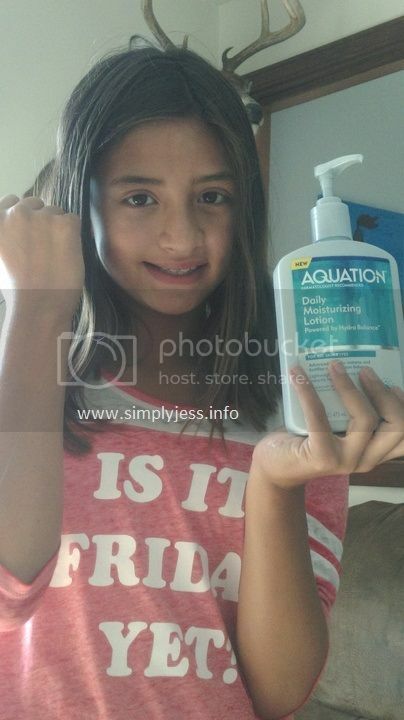 By the way you can buy Aquation exclusively in Wal-Mart. You can also print this coupon to save you money to buy the products. For more information about these amazing products, check out their Facebook, Twitter, You Tube, Instagram and Pinterest. 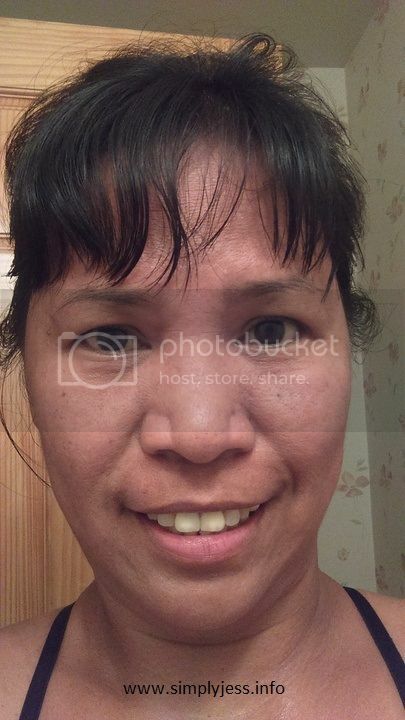 I received the products from Brandbacker in exchange of my honest reviews. 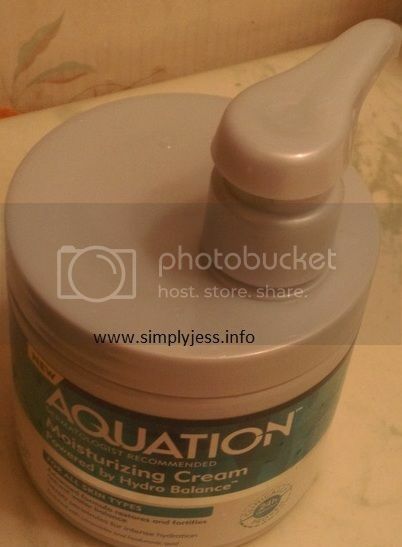 This entry was posted in beauty and tagged Aquation Care on August 19, 2016 by simplyjess.